and then that led up to the thing depicted in this image. only occurs in local coop. any suggestions? Local multiplayer doesn't work in the Mari0: SE beta. If you want to play local multiplayer, just use 1.6 instead. what if i want to play as a different character? To do that, go to Options, Skins, and when the character name is highlighted, just use the left/right arrow keys to select your character of choice. Mari0 1.6 doesn't have support for custom characters, and the download for the custom character loader mod is gone, so there is no way to have custom characters in 1.6 currently, unless you have knowledge in LUA/love2d and could code it. tl;dr: You can't use different characters in 1.6. Could you post a screenshot of the layout of your hats folder for the hat loader? And to clarify, you're using the 1.6 hat loader mod, correct? Although, I can't quite see why the hats wouldn't be appearing ingame. Did you put the folder inside the Hat Loader.love file? Okay, I see the problem now. 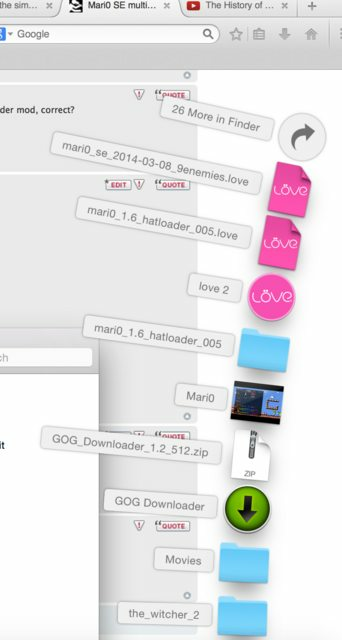 You aren't supposed to make a folder with the same name as the .love file (I'm assuming you extracted the .love), and then put the hats in there. You need to instead open the .love file with something like 7-Zip or WinRAR. It looks like you're on OS X, so you'll have to use WinRAR. Once you have that installed, open the mari0_1.6_hatloader_005.love with WinRAR, navigate to the hats folder, drop in the Z&T Hats folder in (if it gives a prompt, click OK), then exit WinRAR, and run the game. You should see the hats you just added ingame now. 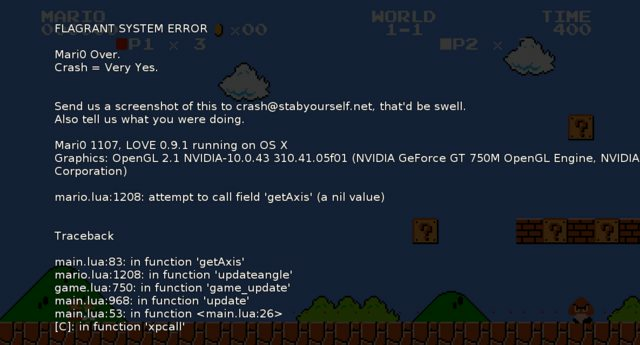 Hmm, I didn't realize it was only useable with the command line. The other method without a program would be opening up the folder you have now (that had the Z&T Hats folder), selecting all the items in the folder, creating a .zip containing all those files (http://support.apple.com/kb/ph4048 refer to compressing), and then changing the file extension from .zip to .love. It should hopefully work just fine then. if you have the love file with z & T in it cant you just post it? I don't think that matters, as far as I know. If it's like a dialog box that has the option to Ignore and just create the .zip, I would do that. Also, if you want to just use the hats right now, I made a .love file containing them. You're much more likely to get somebody to play with you there.